2012 February | Run Inspired. I’ll be blogging later tonight about some other things, but just wanted to go ahead and put this up. No one said it was going to come easy….Happy almost Friday and go be awesome today! Over the past week, I have to admit that I have become a follower of the #Linsanity movement and it has nothing to do with my deep love for NBA basketball. In fact, sports past 9:00 pm are often times like bedtime stories – I fall asleep almost immediately. But put on the latest Jeremy Lin highlights and I couldn’t be more excited. I, along with millions of others, find the story of Jeremy Lin a fascinating human interest story, and as he continues to rise to stardom, we celebrate his many successes with him – almost like they’re our own. The name Jeremy Lin has become one of the most searched terms on Google, a social media phenomenon, and a household name. Is it because he helped lead the Knicks to a few victories? Perhaps. But maybe it’s because of what he represents. First, consider this: Lin was named All-State and Northern California Division II Player of the Year along with being the only NCAA Division I men’s basketball player who ranked in the top ten in his conference for scoring, rebounding, assists, steals, blocked shots, field goal percentage, free throw percentage, and three-point shot percentage. Yet, no college recruited him and no NBA team drafted him. After signing with the Golden State Warriors, he was placed on the on the inactive list and received little playing time. He was waived by the Warriors in order to free up the salary cap space for another player and was a third-string point guard for the Knicks. Well that was until a few weeks ago, when straight off the bench, he scored 25 points to help lead the Knicks to a 99-92 victory over New Jersey. 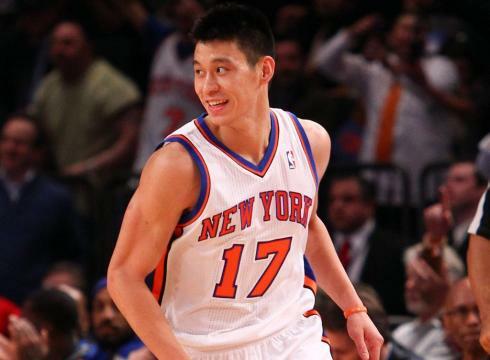 Jeremy Lin is a classic example of what determination and hard work can accomplish. He didn’t have it easy, but he sure worked like hell to get it. Instead of being satisfied with being a third-string point guard, he decided to be the star he is today. Lin put no limitations on his abilities; therefore, there was nothing he couldn’t achieve. Stories like this are fascinating because they demonstrate the true human potential. I admire Jeremy Lin because he decided to discover what he was really capable of and I think that is something we can all learn from. We get comfortable in our lives with our day to day schedules, our workouts, our diet, but it’s only our comfort zone because that is what we have chosen to be our comfort zone. The Linderella story has encouraged me to test some new limits in my own life and also with my running. I have speed goals and new distances I would like to attempt, but sometimes I hesitate because what if I don’t PR or don’t make the 50 mile mark? Honestly, who cares? At least maybe along the way I’ll discover something new about myself and find out what I can really accomplish. This week the running world lost a pioneer- a man who changed the running landscape and who helped to bring us Nike, the company that changed our running world forever. Although I was not very familiar with Mr. Hollister, I have been simply inspired by learning about his work ethic, dedication, and determination to the sport of running and the community. He preached a message of hard work and demanded nothing short excellence from his athletes. As stated in this article, he loved “grassroots running, thinking outside the box, and connecting with the youth running community.” He was a genuine man who traveled across the country to sell shoes out of the trunk of his car because he believed so deeply in the product he was promoting. 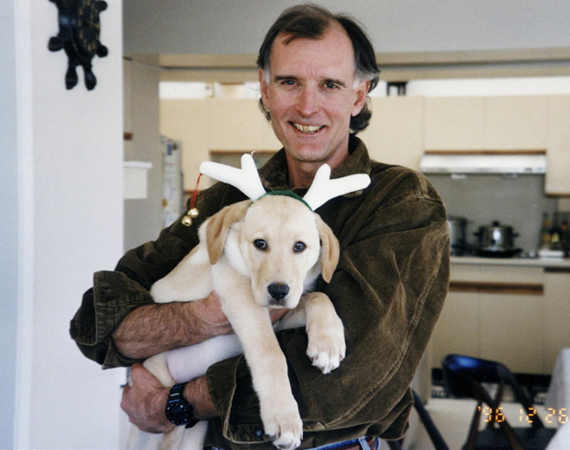 Those who were closest to him say he taught others how to live, was able to talk to anyone for hours about anything, and encouraged us to remember a simpler time in running. A time when people simply gave their hearts to run, jump, and throw. 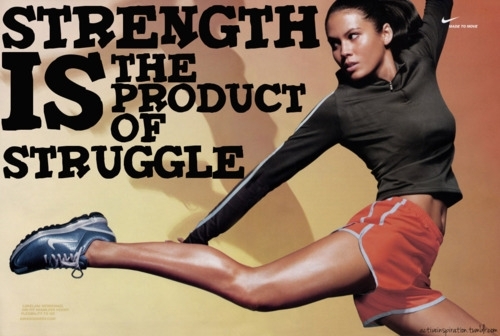 This is certainly a hard time for Nike, the Hollister family, and the running community. My heart goes out to all of those who are affected by this loss. At the same time, I feel fortunate and proud to be part of community that attracts individuals such as Mr. Hollister. Devoted, kind, encouraging, and a man who expected the best and who gave his best every single day. May he rest in peace. I recently downloaded The Flinch onto my Kindle, and I definitely think it’s worth the quick read. It’s free, short, and although no Atlas Shrugged, it definitely gives you something to think about. The basic idea behind the book: stop flinching, start putting yourself in those not so comfortable situations, and become a better person because of it. Something a friend said to me earlier this week caused me to reflect on the relationship between this book, treadmill running, and outdoor running (odd, right?). I was asking her why she didn’t want to run outside and she said that it was easier to reach her mileage goal on the treadmill than outside. And yes, she is absolutely right, but what is more important? 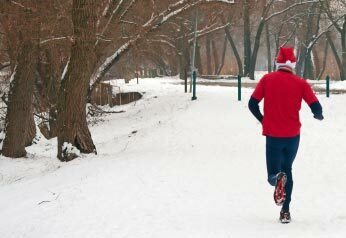 Running X amount of miles or running those miles outdoors, in unpredictable conditions? I use to do all my runs during the week on a treadmill and my long Saturday runs outdoors. I got injured, I got bored, and I began to cower from the cold and the rain. Somewhere along the road, I realized treadmill running was not the best thing for me. I altered my stride too much, it gave me bad running form, and it certainly didn’t prepare me for the 40 degree pouring down rain marathon I did a few years ago. Over the years, I have learned to embrace the hills, the cold, the heat, and the rain, not as obstacles, but as uncomfortable situations that make me a better runner. Not to completely ignore the benefits of treadmill running (because it is a great form of exercise), but there is something about being outdoors in the cold/rain/snow/sunshine, running up hills or through trails, that can never compete with the endless running on the belt. 1) Treadmill running offers no wind resistance. Yes, it is possible to encounter calm conditions outdoors, but the reality is, you can’t control the weather. Training with a little wind in your face is good for you. 2) When running on the treadmill, your terrain is pretty consistent. Unless you up the incline, you’re running on a flat, smooth surface. However, come race day, you more than likely will encounter a hill or two along with a few potholes. Not avoiding those hills and varying your terrain does something good for those calves and makes flat races seem like a walk in the park. 3) Running indoors is typically done in a nice climate controlled environment. Therefore, when we stick to only treadmills, we learn to avoid all weather that isn’t ideal. There are two issues with this. First, few races are run indoors (could you imagine 1,000+ runners racing a marathon on a treadmill?). You should train in similar conditions to race day. Second, how will you ever learn that the rain won’t make you melt unless you get outside and pound out a few miles in the puddles? Bad weather won’t ruin you, it just isn’t ideal. However, once you learn you can make it through bad weather conditions, you open your running world up to endless possibilites. 4) Studies have shown that when running outside, runners will run further and faster with a lower rate of perceived exertion than when running on a treadmill. In addition, studies have demonstrated that the overall feeling of accomplishment is greater after a run outdoors versus a run indoors. Of course, one cannot deny the many benefits a treadmill can offer when used correctly. Just check out this great video of Kelly Gonzalez demonstrating how to incorporate intervals into a treadmill workout. Even some Olympians do up to 80% of their training on a treadmill. But I am willing to bet that those people possess a level concentration and determination that make their workout as challenging, if not more, as any run outdoors. Going back to my friend’s comment and The Flinch – sure some of these things are not fun (when was the last time you were super excited to run in 15 degree weather? ), but once you embrace the challenge, it’s not so bad. You will live and you will be a better runner because of it.